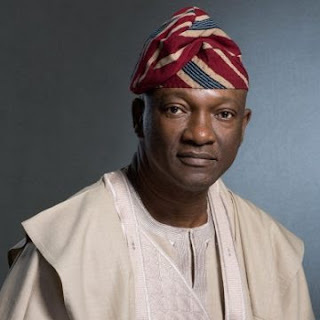 Jimi Agbaje, the Peoples’ Democratic Party, PDP governorship candidate in Lagos State, has described himself as ‘a vessel’, insisting that the forth-coming governorship election is not just about him. According to the PDP candidate, “I’m only a vessel for the thousands of Lagosians who have to drive to work every day, having to contend with the pain of traffic, caused by trucks that continue to block our streets and highways. You hear their pain when they call into radio shows asking to be heard, yet nothing is done about the problem. “I’m only a vessel that understands that if we’re going to have a chance at transforming Lagos into the mega city of our dream, it would require that we tap into the ingenuity of our people. We limit our very potential to be great when we, willingly or unknowingly, outsource that responsibility to a few overlords to make decisions that will affect not just us, but generations that come after us. “Government must be accountable to its people. It must serve, not dominate. It must speak a little, and listen plenty. I’ve always wondered why the concept of the “Customer is always right” never applies to governance and leadership. “I want to run a government where citizens are always heard. It is their right and it would be a privilege to serve – not the other way round. “And in this election, we have the choice to change that balance in favour of the people. We have a choice to change this system that has taken the people for granted. We have a choice to make a statement that Lagosians would not be overlooked or underestimated. That time is now”.